A Guide to Bigfoot: How many Bigfoot are there? How many Bigfoot are there? 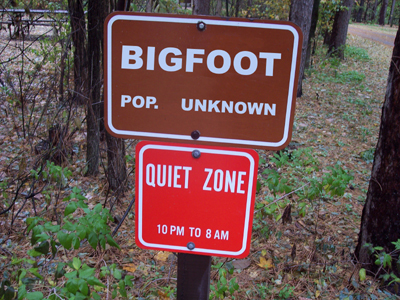 The Bigfoot population can only be guessed as there is limited data to base any estimates on. To get a good guess of these numbers there are some things to consider. Experts say there needs to be a minimum of 2000 of these animals to sustain a healthy population. One also has to consider the number of credible sightings when taking an estimate. These sighting also have to include those that never come forward with their report because of fear of ridicule. Another problem is that these creatures are elusive and live in remote regions, as well as being considered nocturnal. These factors make any sightings being pretty rare. Good educated guesses of the Bigfoot population range from about 2000-6000 individuals in North America. The actual number may not even fit inside of this range. Why hasn't a body been found? BFRO - How many bigfoots are there?